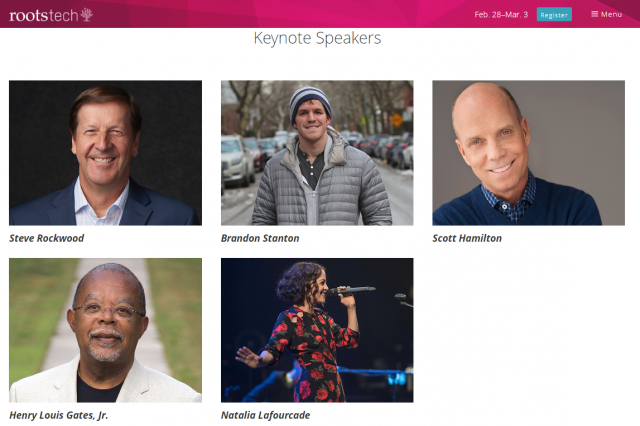 RootsTech 2018 begins this Wednesday, February 28, 2018 with over 300 classes, keynote speakers, family events, and fun. Here are a 6 ways you can participate, be inspired, and get help with family history. Register. Go to rootstech.org. Passes start at just $69. Read “A Survival Guide to RootsTech.” Note: Temple and family history consultants can get discounted passes with the promo code 18CALLING. Attend Family Discovery Day. At Family Discovery Day, held Saturday, March 3, 2018, you can hear the keynote address from President and Sister Oaks, visit the Expo Hall, and attend some classes. Family Discovery Day is free, but registration is required to attend. Please register here. Sign up for a personalized family history experience. Temple and family history consultants can meet with a representative from the Family History Department, who will prepare a discovery experience just for them. Sign up for a one-on-one experience here. Watch the family history leadership session. The leadership session features messages specifically for you from Elder Quentin L. Cook and Elder Dale G. Renlund as well as from other General Authorities and Church leaders. Learn more. Watch this session live on Thursday, March 1, 2018, at 7:00 pm MST on LDS.org. After the live session, a recording will be available on LDS.org and RootsTech.org. Watch the Family Discovery Day keynote address. President and Sister Oaks will give their address live on LDS.org on Saturday, March 3. Recordings of this session will also be available on LDS.org and RootsTech.org after the event. Watch the live stream daily. Join several of RootsTech’s best class sessions with the daily live stream on RootsTech.org. A select number of sessions will be streamed online each day of the conference. See a schedule of events and celebrations. Can’t attend in person, see the live streaming schedules for all sessions. 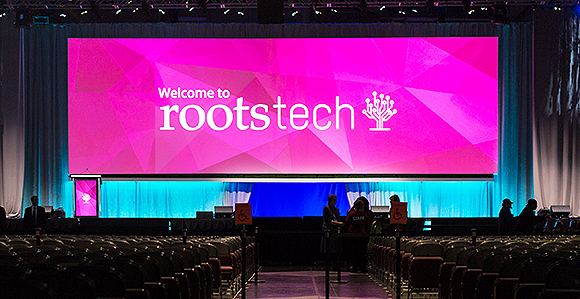 How can those outside US (international) participate in-person during 2019 rootstech conference. i am so passionate about family history work, and i wish to have a memoral experience through rootstech initiatives.